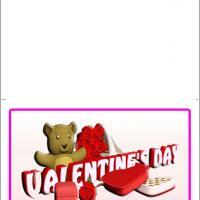 Nothing beats an I love you greeting on Valentines day. These printable Valentines let you say it in a truly colorful and memorable way! 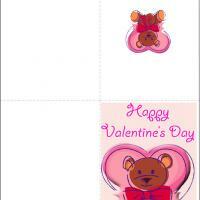 Say I love you to anyone you want through this bear with heart balloons card. 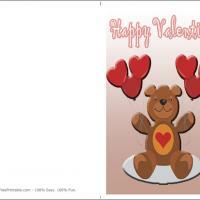 The hearts are definitely the name of the game with this card and the bear in the middle looks pretty smug about it! Don't forget to add your own messages and greetings and maybe some more graphics and clip-arts while you're at it. There's no such thing as too many hearts on this holiday, so enjoy yourself! 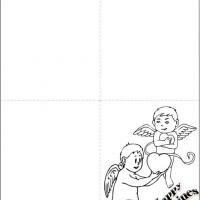 The more effort you put into these free printable cards, the better it will be received, so print and enjoy!